1890. The first of the three bridges. Over engineered in the wake of the Tay Bridge Disaster, it was designed to project strength and stability to the eyes of the travelling Victorians. It is perhaps one of the most recognisable structures in the world. 1964. The Forth Road Bridge was the fourth longest in the world and the longest outside the United States when it opened. The bracing between the towers in the shape of a St Andrews Cross adds to its stylish appearance. 2017. At 1.7 miles the structure will be the longest three-tower, cable-stayed bridge in the world. It is also the largest to feature the cross hatching cables, adding extra strength, stability, and giving a distinctive elegance. 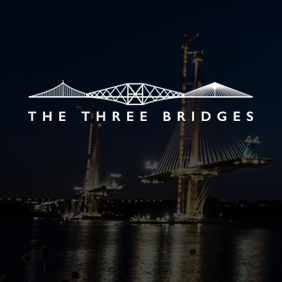 Whilst we currently have no upcoming events why not learn a little more about the history of the Three Bridges, from the true beginnings in 1040! Learn more about the the most iconic three bridges in the world !